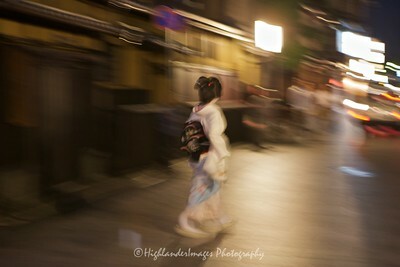 Geisha are professional female entertainers who perform traditional Japanese arts at banquets. Girls who wish to become a geisha, have to go through a rigid apprenticeship during which they learn various traditional arts such as playing instruments, singing, dancing, but also conversation and other social skills. 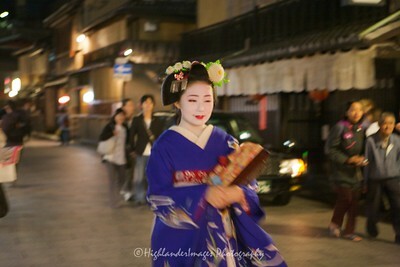 In Kyoto, geisha apprentices are called "maiko". 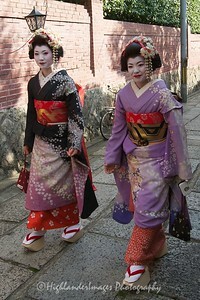 Geisha are dressed in a kimono, and their faces are made up very pale. 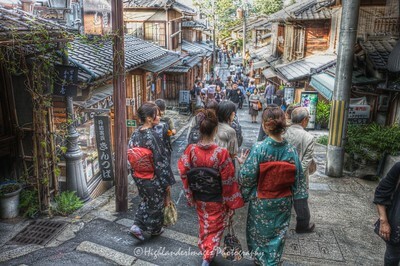 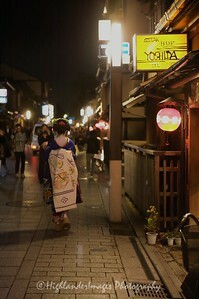 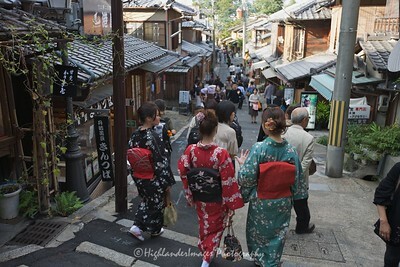 Gion is Kyoto’s most famous geisha district, and one of the city's most popular attractions. 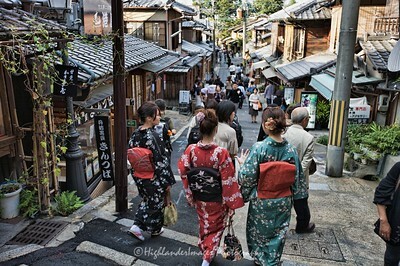 The district lies in the city center around Shijo Avenue between Yasaka Shrine and the Kamo River, and is filled with ochaya (teahouses where geisha entertain), theaters, shops and restaurants. 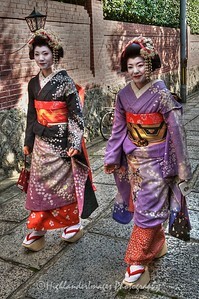 The geisha in the Gion district do not refer to themselves as geisha; instead, Gion geisha use the local term geiko. 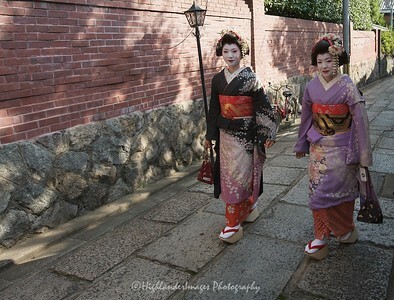 While the term geisha means "artist" or "person of the arts", the more direct term geiko means essentially "a child of the arts" or "a woman of art".